Mrs. Miner's Kindergarten Monkey Business: Would You Like My 2 Fall Products? Would You Like My 2 Fall Products? Just make sure you are following my blog and then leave a comment below with your email address. This giveaway will run until Friday evening 8:00 p.m. E.T. If you spread the word (via your blog or FB page) feel free to add yourself a second entry. I follow your blog and shared this on fb! I love your products!!!! I follow your blog and would love to win these! I would LOVE to have these! :) I shared on my FB page as well. Love, love, love - did I say I LOVE it!?!? I follow your blog, and I love it! I follow you and would love to win! I follow you, these look like great units! I am so glad that I follow your blog! I follow your blog! Love it! I follow you - and I'm so glad I do! I do follow your blog through google reader- love it! Love Love Love this. You are absolutely SO creative. 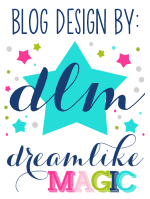 I follow your blog and love it! I'm a follower! Thanks for the opportunity! These would be wonderful additions to what we are doing in class! Thanks for the opportunity! I follow your blog. You have great ideas!! Thanks for sharing! I follow your blog. That's how I saw this post. I am a follower of your blog and facebook. I'd love to have a copy of you Fall products! Going to share on Facebook as well! Thank you! Thanks for what you do! I follow your blog! I can't wait to use these with my kids!